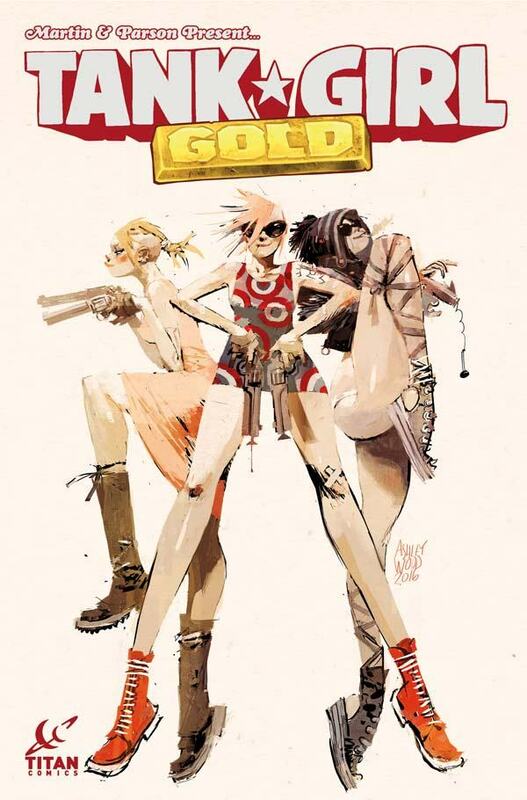 TANK GIRL: GOLD picks up where the critically acclaimed hit series Two Girls One Tank left off - Tank Girl has lost one of her dearest friends, but inadvertently gained billions of dollars worth of Nazi Gold. What is she going to spend all that money on? 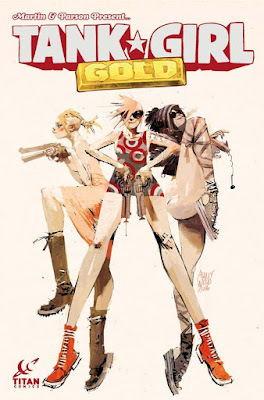 Before we find out, her kangaroo boyfriend Booga must pay a penance by going right up THE FURRY ROAD. It's been swell, and the swelling isn't going down.